Lock in a great price for HK Sky House – rated 8.1 by recent guests! 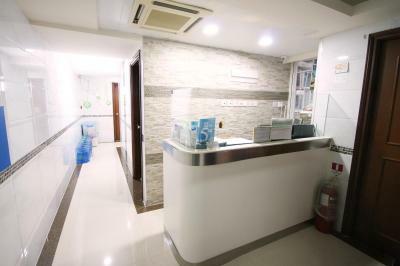 Excellent location, close to MTR Jordan. Clean room and friendly staff. Owners were friendly. 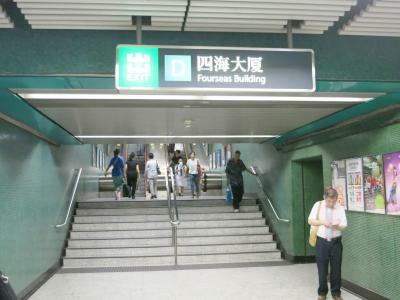 Location was amazing, really close to the MTR and the entire area is always lively and vibrant. Albeit it being a guesthouse, they do not scrimp on the service. My room was cleaned daily. Drinkable water is also provided at the counter. I also enjoyed waking up to the sounds that came from the neighboring school, helps me start the day right! The location, the owner (Tiffany) and the staff (Ati) were very kind, thoughtful & helpful. 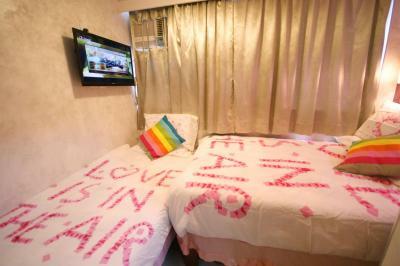 The facilities were excellent, clean, although the room was small, but it's Hongkong.. It is very recommended. 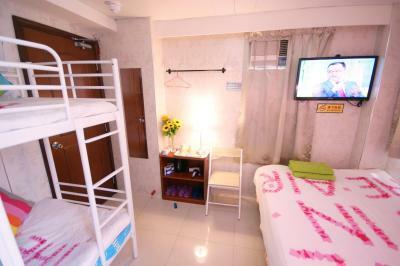 This accommodation is very close to Jordan station and the owner is very kind. Convenient location. Near to Jordan MTR, Australian Dairy Company and lots of good food. 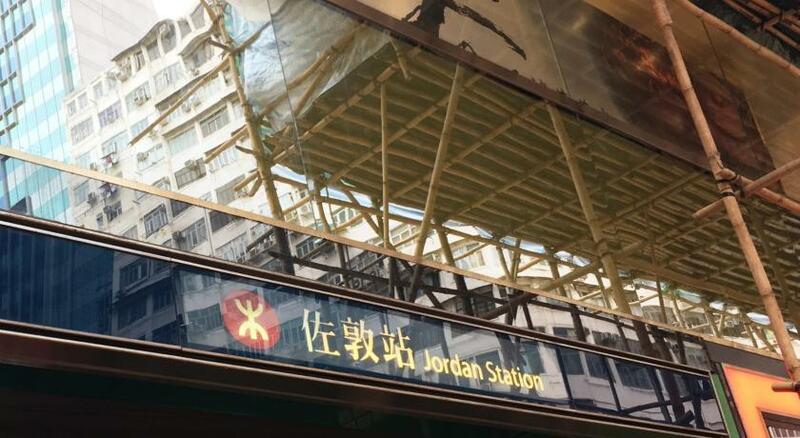 Great location, Jordan subway station just around the corner! Friendly host, good wi-fi and 7-Eleven across the street. Would recommend for solo travellers and young couples. The only really good aspect of this property is the location although the access is rather challenging. The neighborhood is the best thing about this property you couldn't describe it as a hotel it's really a third level older Hong Kong apartment that has been converted into small guest rooms. Really small guest rooms I might add and at AU $125 a night room only just dosen't stack up even by Hong Kong standards. Approximately100meters from the main Nathan Street, 300 meters from Jordan MTR,very accessible to shopping areas and restaurants. The room is at the 12th floor,no worries cause the elevetor is working well. Quite small but for Family of 4-5pax (w/small children) is fine(also if you are a backpacker).Make sure to contact the owner and give details of your arrival time if you will be coming earlier to drop your luggages since the check-in time is at 2pm. HK Sky House This rating is a reflection of how the property compares to the industry standard when it comes to price, facilities and services available. It's based on a self-evaluation by the property. Use this rating to help choose your stay! 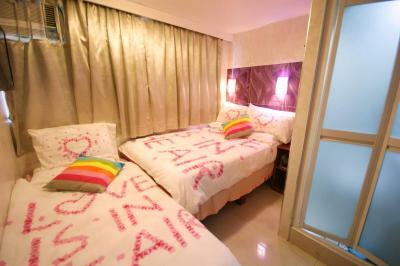 HK Sky House offers affordable and comfortable accommodations in Hong Kong. 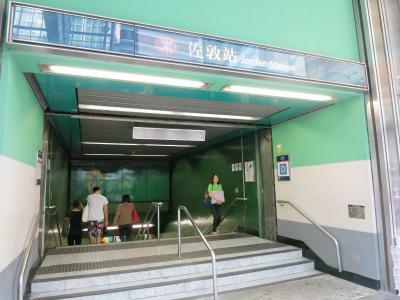 It is only a 5-minute walk from the Exit D of MTR Jordan Station. Lots of shopping and dining options can be found within a few minutes' walk. 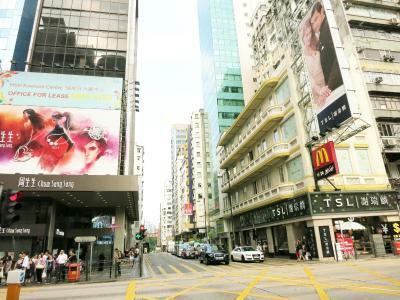 It takes a 5-minute walk from HK Sky House to Avenue of Stars and Victoria Harbor. The property is a 10-minute walk from Harbor City. Hong Kong International Airport is 15 mi away. 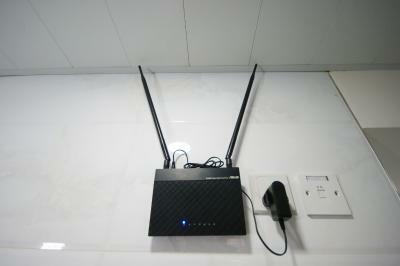 The rooms have a flat-screen TV. You will find a kettle in the room. 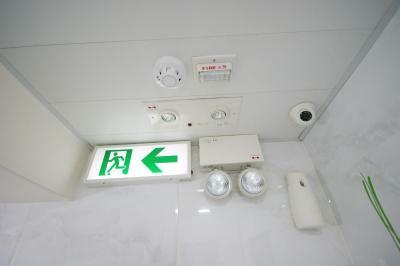 Free toiletries and a hairdryer can be found at the private bathroom. 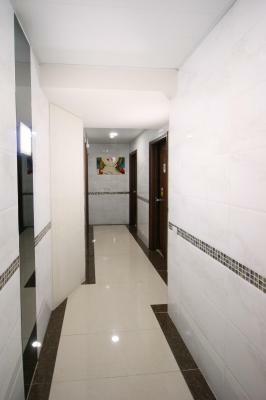 뀐 Located in the top-rated area in Hong Kong, this property has an excellent location score of 9.0! When would you like to stay at HK Sky House? This triple room has air conditioning, an electric kettle and a private bathroom. 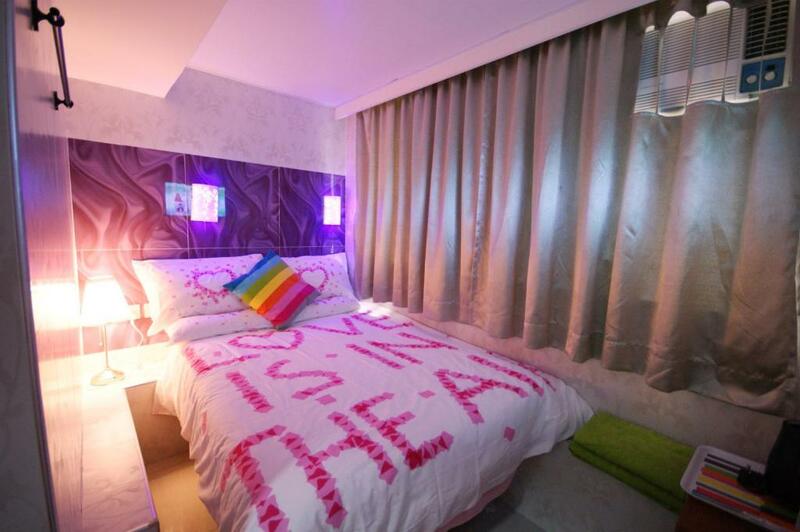 House Rules HK Sky House takes special requests – add in the next step! One child under 6 years is charged HKD 100 per night when using existing beds. HK Sky House accepts these cards and reserves the right to temporarily hold an amount prior to arrival. Please note that the guest names should match the names of the credit card holders. The room is very small. The elevator is small too, can only take four people per time. Room is very small and aircon is not very strong. Too near the roads hence noisy. The mattress was really thin and not that comfortable. I had a late check-in and the main gateway to the building was already closed so I had to struggle a little to find it. First the location is great close to lots of restaurants and shopping if that is all you are interested in. I booked two rooms one for my adult son and a triple for myself and my wife. The owner manager Peter was pleasant enough although he spent most of his time playing video games on a console but to his credit he made the time to give information about the local area. Our rooms had their own bathroom as advertised but it was about two square meters and you virtually had to sit on the toilet to use the hand held shower. We requested a room with a window and this is what you see in the advertising but we discovered that 75% of the window was covered with a digital sign advertising the property looking over the street below. The bed was hard and uncomfortable and when I looked under it we discovered that the area under the bed was used to store boxes and property equipment and the same applied to my Son's room felt like we were in a store room. The rooms were not particularily clean and had a shabby appearance. 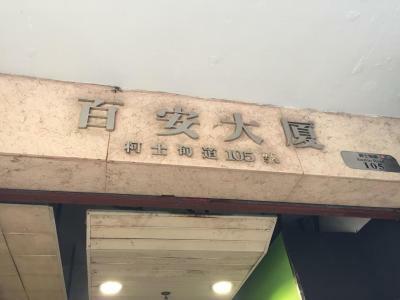 We initially laughed these things off as we were there for business but after a couple of days we all found this property quite challenging and not good value at all AU $125 each room even by Hong Kong standards. We didn't complain because we realized that was the same standard for all the seven rooms in this property so we just bit the bullet and got on with our business. Beware the property dosen't come up to the standard you would expect from the advertising. The information of room size is misleading. It shows in Booking.com that size of the Deluxe Triple Room is 16 m². But, it is just about 5 m² in reality. Super small bathroom. Barely can stand properly to shower. 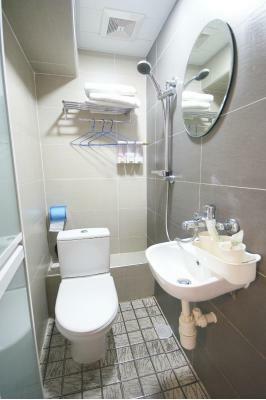 The size of bathroom even smaller than other guest house i stayed in HK. Our room is facing the street side so its noisy with traffic sound until midnight. Very good location with lots of good food around the location. Convinient place to reach the local train station (Jordan) . The rooms are quite small (but not the worst by HK standards I don't think!). Rooms are located on level 3 so it is pretty noisy with windows open. This didn't bother me, but might if you are a light sleeper. The front desk man was very helpful. He gave us good tips before we left for China. 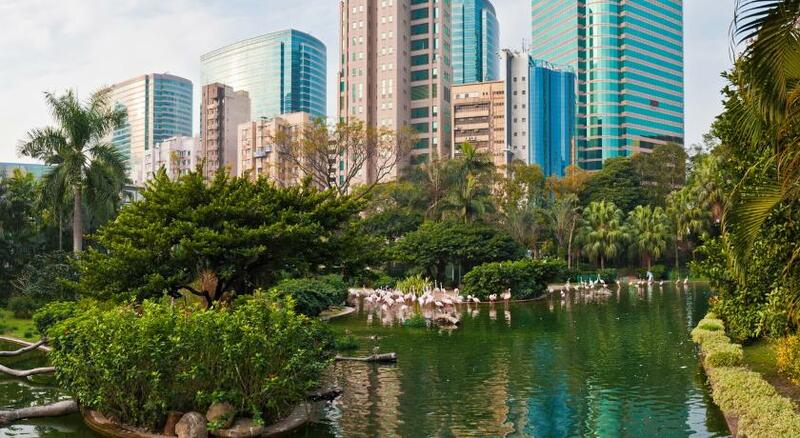 The location is good - close to MTR and lots of food and shopping options. It would be nice to have some kitchen corner (at least a microwave). After 11 pm the building is closed so you have to call and wait for security guys.